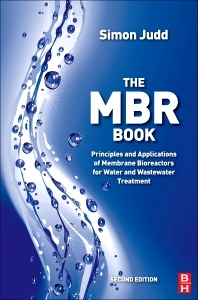 The MBR Book covers all essential aspects of membrane bioreactors in water and wastewater treatment, including the working principles of MBR technologies. The book aims to separate science from engineering, in an attempt to avoid confusion and to help readers understand the ideas of MBR. The text is divided into five chapters; the membrane and biological aspects are discussed in chapter 2 along with scientific studies. The third chapter covers the design, operation, and maintenance of MBR, including cost modeling and cost benefit analysis. Chapters 4 and 5 cover the commercial MBR products and their applications for water and wastewater treatment, respectively. The text features industrial case studies, along with useful appendices of commercial and international membrane organizations. The book serves as a a primary reference for chemical, environmental, and process engineers, as well as environmental researchers, natural resources researchers, filtration specialists, water company managers, and consultants. Professor Simon Judd has been a member of staff at Cranfield since August 1992, and has managed and/or procured most of the biomass separation MBR programmes conducted within the Centre since that time. He has been principal or co-investigator on three major UK research council-sponsored programmes dedicated to MBRs with respect to in-building water recycling, sewage treatment and contaminated groundwaters/landfill leachate, as well as two EU-sponsored MBR programmes (EUROMBRA and MBRTRAIN). He has also managed projects in membranes for potable and industrial water treatment, as well as in water recycling. As well as publishing extensively in the research literature, Simon has co-authored three textbooks in membrane and MBR technology. Invited presentations at international membrane conferences have included five keynote papers. He has also provided consultancy to clients based in Denmark, Finland, Japan, Korea, North America, Switzerland and the UK, and is a Fellow of the Royal Society of Chemistry.